Aldo Capitini (1895-1968) was probably the most important advocate of nonviolence in 20th century Italy. He was born in modest circumstances in Perugia and went to a technical school although his passion was literature. His health was poor but he drove himself to study and won a scholarship to study philosophy and literature in Pisa. Capitini took up active politics when he observed the Concordat between the Roman Catholic Church and the state in 1929. He believed that the Church could have brought down the fascist regime by noncooperation but disgracefully compromised. From then on he made a sharp distinction between religious institutions and a free religious faith exemplified by Jesus, St Francis and the Buddha. He was dismissed from his teaching post in Pisa because he would not join the Fascist Party and returned to Perugia where he began writing and got his first book published in 1937. In it he wrote: “Pain, remorse, the thought of death are always real; and it is here that religion springs up”. “Nonviolence seems the highest spiritual teaching, a religious idea of absolute purity, to love for its own sake, the only power able to defeat fascism. If Mussolini in order to assert himself resorted to sinister means – deceit, lies, murder – Capitini counterposes the highest values of truth, non-mendacity, nonkilling”. 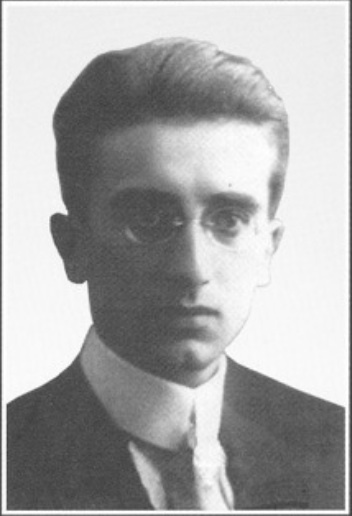 Capitini believed that nonviolence should embrace all creation and he consequently became a vegetarian. Capitini developed a political ideology called liberal-socialism which did not develop into a political party but was a very decentralised movement which attracted many young people. He was imprisoned three times in 1943-4 as were other activists. A Party of Action now developed in the movement but Capitini kept apart from it as he saw the movement as an ‘orientation of conscience’ not a political party. In danger of arrest and deportation by the Germans when they occupied northern Italy he hid in the countryside. In the post-war period Capitini refused to support any party, declaring himself a free religious and left-wing independent. He started to set up Social Orientation Centres around the country to counterbalance central power and encourage democracy. He also turned his attention to education for a renewal of culture and he taught in universities. The recent tragic history of Italy, he believed, was due to cultural and religious backwardness and the absence of collective moral conscience. He was nominated Rector in Perugia but was moved due to pressure from the Catholic Church. In 1952 he set up a Centre for Nonviolence in Perugia and also promoted conscientious objection to conscription. He regarded Gandhi’s approach as a third way between communism and capitalism. Crucial is the primacy of means in social change. Gandhi’s way was revolutionary but it did not just change the structures as Marxism intended, but also a person’s being. Capitini became aware of Danilo Dolci, who settled in Sicily to help the poor in their struggle against the Mafia, and gave him his full support. Dolci’s outlook and actions were essentially Gandhian. Capitini held up Gandhi and Jesus as examples of those who detach themselves from the world, though remaining in the midst of humanity in order to transform society. Conflict cannot be avoided but responding with nonviolent action can create new positive relationships. A march for Peace and the Brotherhood of People was organised by Capitini in 1961; walking from Perugia to Assisi it attracted large numbers. Capitini’s programme is a radical one indeed: abolition of armies, of borders, of property. A few days before his death in 1968 he wrote: “… Today’s utopia can be tomorrow’s reality”. He recommended a green and nonviolent society with a rejection of consumerism and admired the Community of the Ark which was set up by Lanza del Vasto in France after he met Gandhi in India. Altieri’s study is called “An Intellectual Biography” and there is much more philosophy here than this review might indicate. Capitini was a deeply religious or mystical person although he rejected religious institutions. We should be grateful to the International Gandhian Institute for Nonviolence and Peace (IGINP) which has published this English version and brought to non-Italian readers the life and thought of a person who ought to be much better known than he is. They also publish a journal in English called Ahimsa Nonviolence.